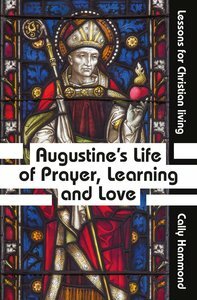 About "Augustine's Life of Prayer, Learning and Love: Lessons For Christian Living"
The Revd Dr Carolyn (Cally) Hammond (D.Phil, University of Oxford) was Dean and Director of Studies in Theology at Downing College. Her academic interests range from Classical literature and history to the early Christian period, with a particular interest in the early Christian historians; and Mariology (the study of the place of the mother of Jesus in the economy of salvation). She has a long-standing commitment to the English choral tradition, and an interest in the theory and practice of liturgy. She is the author Passionate Christianity: a journey to the Cross published by SPCK.-Editorial Review.